Paul Buchheit, the ex-Googler who created Gmail, thinks that the ideal design of a computer that acts like a local node of a global super-computer matches the design target of Chrome OS. “It should be relatively cheap and reliable, secure (no viruses or anything), zero-administration (I don’t want to be a sys-admin), easy to use, and fast.” Paul says that Chrome OS is unnecessary because iOS and Android devices meet the same ideal and there are already millions of devices that run these operating systems. There are already millions of people who use Chrome and some of them would like to buy a computer that’s as fast as their browser. Mobile phones are not yet powerful enough to handle complex web apps, but that will change and, at some point, web apps will be indistinguishable from native apps. You’ll be able to use your favorite web apps from almost any device, but why not use a device that removes everything that’s unnecessary and slows you down? 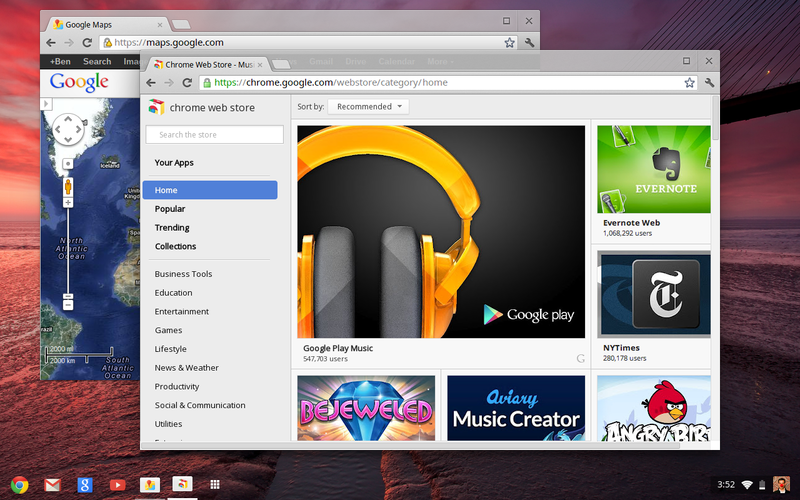 We’re not done yet, but Chrome OS is at the stage where we need feedback from real users. Some of the features of Chrome OS require new hardware, but we didn’t want to sell pre-beta computers. Instead we’re launching a pilot program where we will give test notebooks to qualified users, developers, schools and businesses. We’re starting with the U.S. and will expand to other countries once we get the necessary certifications. To participate in the pilot program, visit the Chrome notebook website. After today’s Chrome event, it became clear that Chrome OS is Google’s true operating system and Android is just a placeholder. Google says that web apps are the native apps in Chrome OS and there are a lot of cool applications in the Chrome Web Store, which is now available. Chrome OS is still an early project and it’s not yet ready for primetime, so the first Chrome OS notebooks will be available in mid 2011. For now, Google focuses on notebooks, but that will change in the future. Google realized that cloud computing wasn’t successful 15 years ago because there weren’t great Web applications. 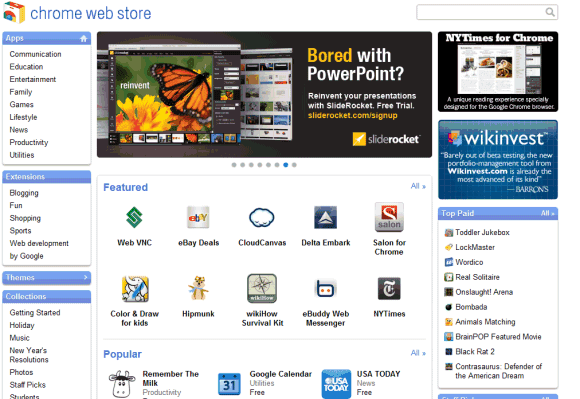 Now there are a lot of great apps and Chrome Web Store is the place where you can find some of them. We’ll see a lot of iPhone and Android developers creating web apps that work in Google Chrome, but also work in other browsers. 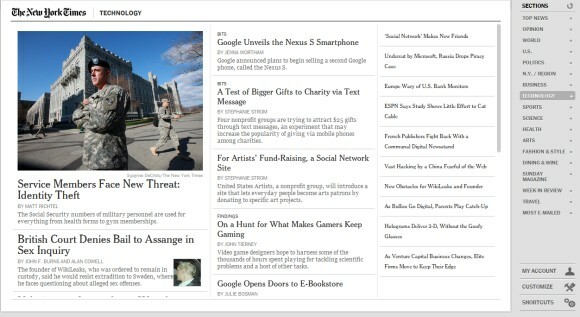 Check the New York Times web app, which has a beautiful interface, it’s customizable and also works offline. Chrome now has 120 million active users, up from 40 million users one year ago. This number will grow next year, when people will buy Chrome OS devices. Google hopes that Chrome OS will become one of the top 3 operating systems in terms of usage, but it won’t be easy to achieve this. 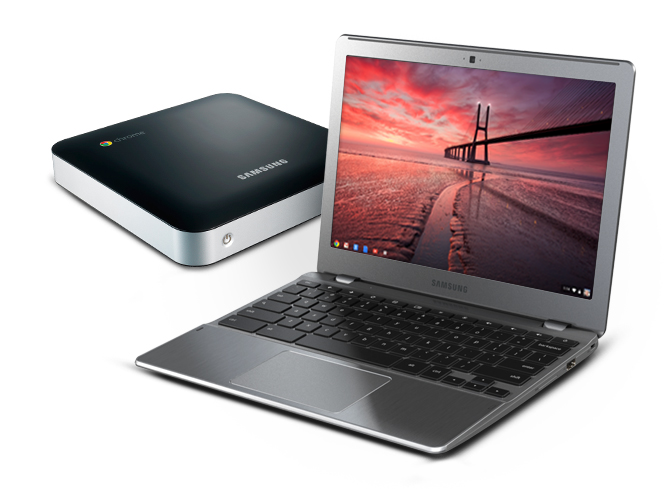 For some people, a Chrome OS notebook will be the main computer, for others it will be a secondary device. What’s important is that users will have a great platform for running web apps, a computer that doesn’t require maintenance, it’s really secure and easy to use. Chrome OS is “nothing but the web”. It may seem limited, but it’s actually open ended. It’s a platform that lets you access the web instantly, that’s always connected and always in sync, it’s built for sharing with other people, it’s up-to-date and it’s constantly improving. Chrome OS is the obvious extension to Chrome. Why use a bulky operating system that requires maintenance, it’s slow and insecure when you can switch to a lightweight operating system that’s fast, free and refreshing? If Chrome can open in 3 seconds, why can’t the operating system load so fast? Chrome OS is an operating system that doesn’t need drivers to print, doesn’t need an antivirus to be secure and doesn’t need to store or process your data. Chrome OS could make computers exciting once again and the best part is that you won’t have to use it to benefit from its influence. * Chrome OS pilot program for US early adopters: get a free Cr-48 Chrome notebook. Chrome OS, Schmidt said is focused on selling Netbook-class computers to early believers in cloud-based storage. The first devices, which he reiterated will come this year, will use either Intel or ARM chips, have a keyboard and won’t have local storage beyond that needed to cache data. Google Chrome has more than 70 million users, but not all of them switched to Chrome because it’s a good platform for Web apps. Few Chrome users will decide that Google Chrome is the only important application they use and migrate to a Chrome OS tablet. Google should promote the tablet as a complementary device for browsing the Web and running Web apps, a device that boots quickly, updates automatically, doesn’t require maintenance or security software. Posted on August 6, 2010 Author Steven WallCategories Featured, GoogleTags Chrome OS, Chrome OS TabletsLeave a comment on Chrome OS Tablets, Only for Early Adopters? Chrome OS computers will no longer be personal because it doesn’t matter which computer you use. After logging to your Google account, Chrome OS will retrieve your bookmarks, themes, settings, web history from Google’s servers. Your data is stored in a central location and you can access it from all your devices. Computers will boot almost instantly, so you no longer have to wait. They’ll be cheap, easy to replace and to maintain. You can already use Chrome on your computer, but a Chrome OS computer is optimized for running a browser, doesn’t have extraneous software and it’s inherently more secure. 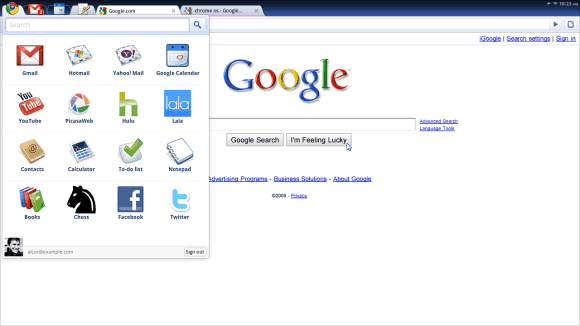 Chrome OS First Look! Or Fake Look? 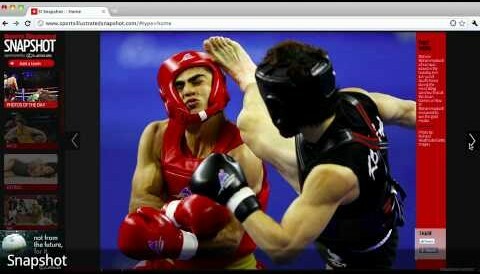 Screenshots and a beta download of Google’s much anticipated Chrome OS appeared on the web today. I’ve been waiting anxiously to see what Google had in store as the rumored Windows 7 killer, so I jumped at the opportunity. But after clicking around a bit, something didn’t feel right. Following my hunch, I did a little clicking, searching, and reading, and here is what I found. 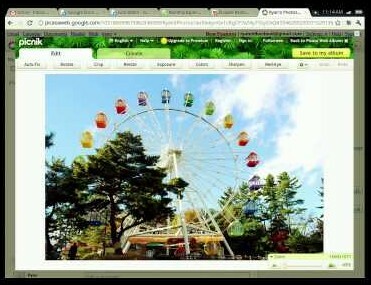 The download site is hosted at sites.google.com – a free Google product, but not an official Google page. This doesn’t seem like the way Google would handle things, especially when they haven’t seemed to update anything about Chrome OS on their regular sites for months. And then I found the evidence I was looking for, at the bottom of the download page in fine print. So apparently, some enterprising individual decided to use OpenSUSE’s cool SUSE Studio to create their own custom distribution, dubbed it Chrome OS, and posted up some quick links. Ingenious for sure. But I don’t envy them the nasty notes sure to follow from Google’s lawyers. 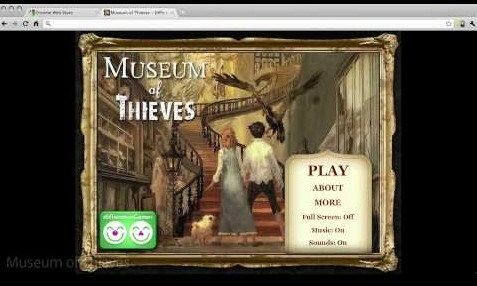 And since the site is hosted free on Google sites anyway, I’m sure it won’t be there for long. If you’re hankering to get some hack’s opinion of what Chrome OS might be, head there quickly! But don’t get your hopes too high. Or low. Google is still keeping its Chrome OS cards hidden up their sleeve. Posted on October 4, 2009 October 4, 2009 Author Steven WallCategories Featured, General, Google API, OpenSUSETags Chrome OSLeave a comment on Chrome OS First Look! Or Fake Look?